I know none of this has anything to do with baking, but I just had such a positive night! 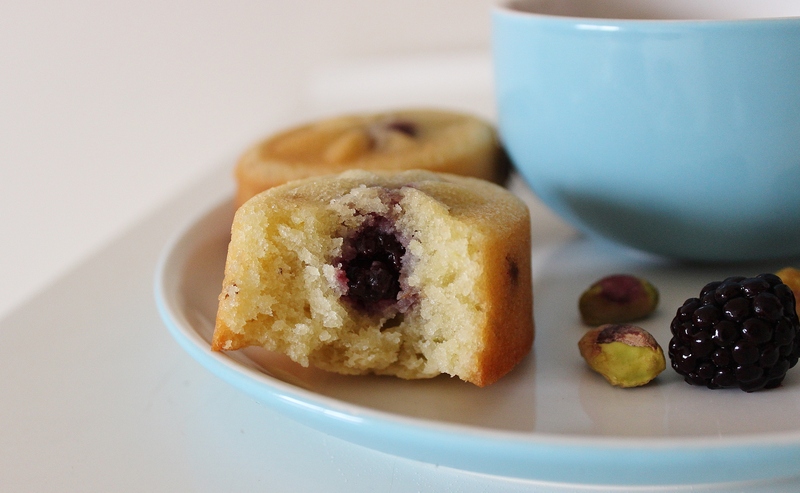 And I thought that it tied in well with these friands – because these friands make people happy! Is it weird that I’m comparing Meg Mac with friands? Probably. But I’m doing it anyway. Have a lovely, happy day. Preheat your oven to 180° and grease your friand tin. Whisk your egg whites on a medium speed for about one minute, or until they start to froth up slightly. Melt your butter in the microwave and add it to the egg whites. Sift your almond meal and icing sugar together and add them to the mixture. Depending on how fine your almond meal is, you may need to top up your measurement – ie. If you lose ¼ cup almond meal because it is too big to be sifted, discard these bits and sift an extra ¼ of a cup to replace what you lost. Add the plain flour in, mixing until everything is just combined. 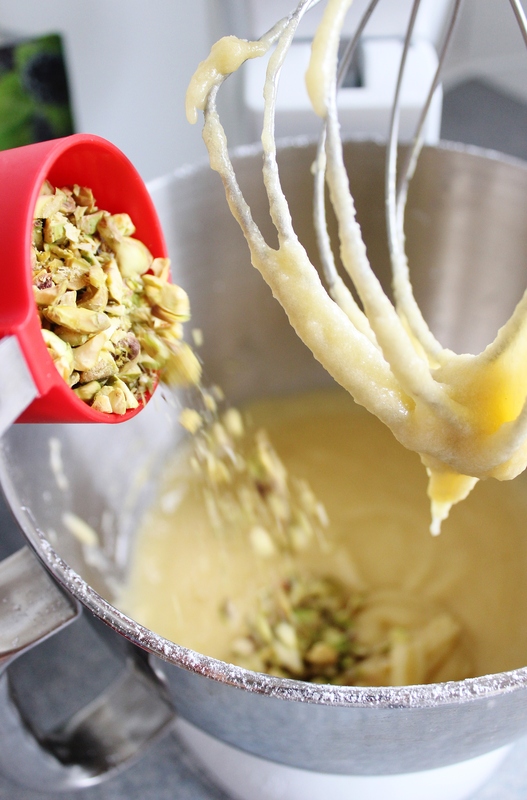 Pop the pistachios into the mixture, then mix them gently until they’re well distributed. Spoon one generous tablespoons of mixture into each cavity your friand tin*(keeping in mind that they won’t rise very much.) 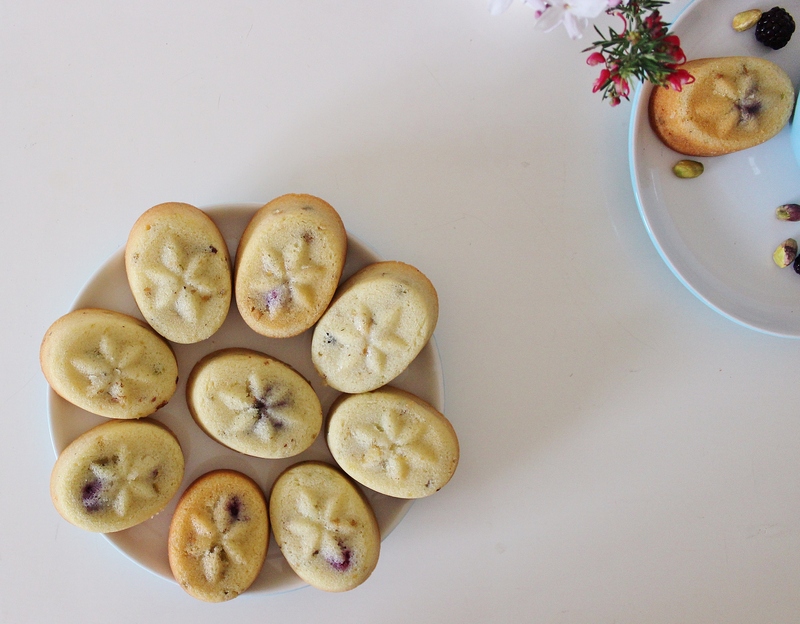 Poke 1-2 blackberries into each of the friands and pop them into the oven for 23-25 minutes, until the edges of friands are nice and golden. Let them cool for 2 minutes, then turn the tin upside down onto a cooling rack. You may need to run a knife around the edges to loosen them up a bit. 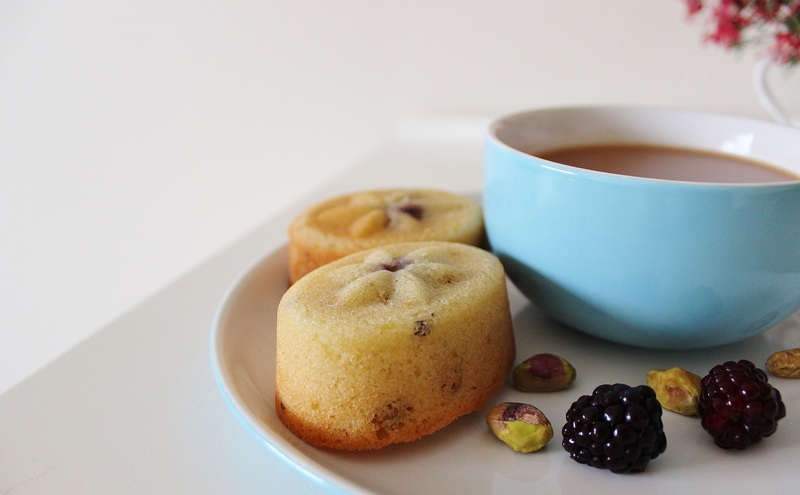 Dust with icing sugar or serve as they are with a nice milky cuppa. The nuttiness of the almond meal works really well with the chunks of pistachio, which should soften slightly in the baking process. 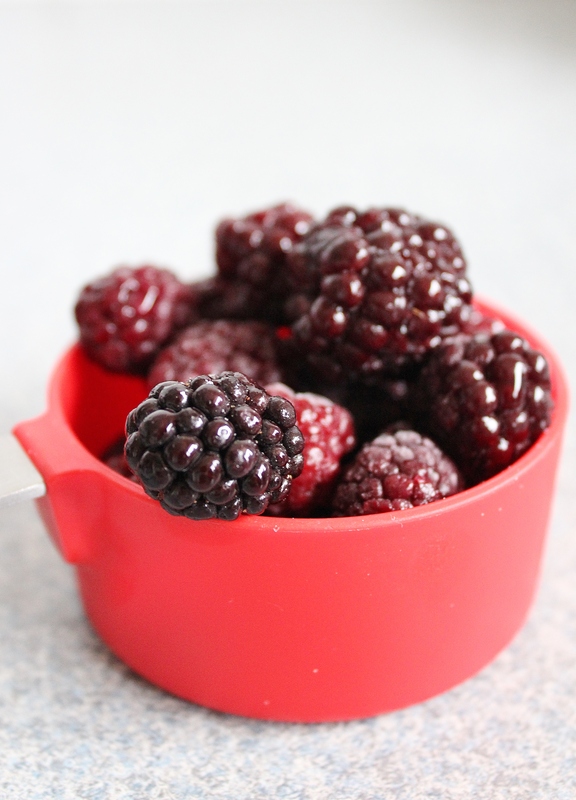 And the blackberries are just sensational. 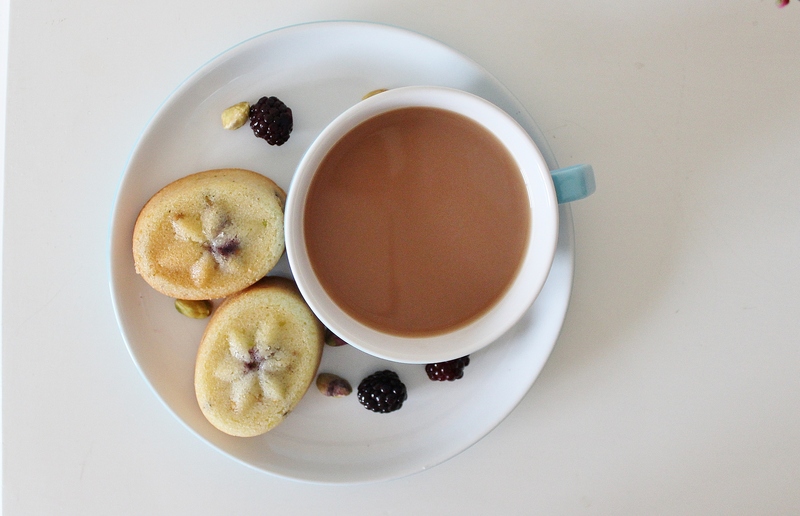 If you’re not a fan of this combination, try blueberry and chocolate instead. Next Strawberry lemon cordial and Spring!